Jews likely first settled in Venezuela in the 17th century. Today, the Jewish population of Venezuela is estimated to be approximately 7,600, out of a country of 30 million. The history of Venezuelan Jewry most likely began in the middle of the 17th century, when some records suggest that groups of marranos lived in Caracas and Maracaibo. Although many scholars say there is no evidence yet discovered to prove that a Jewish community existed in Venezuela as early as the 17th century, Venezuelan popular belief claims that groups of marranos went from Caracas to the city of Tucacas in 1693, and vanished without leaving behind any records. However, due to Venezuela’s geographic proximity to countries that did have organized Jewish communities, such as the Dutch colony of Curaçao, it can be assumed that Jews from Curaçao traveled to Venezuela to trade. After the disappearance of Jews from Tucacas, Jews did not begin to settle permanently in Venezuela again until the middle of the 19th century. At the turn of the 19th century, Venezuela and Columbia were fighting against their Spanish colonizers in wars of independence. Simon Bolivar, considered Venezuela’s liberator, found refuge and material support for his army in the homes of Jews from Curaçao. Jews such as Mordejai Ricardo and brothers Ricardo and Abraham Meza offered hospitality to Bolivar as he fought against the Spanish, thus establishing brotherly relations between Jews and the newly independent Venezuelan republic. Several Jews even fought in the ranks of Bolivar’s army during the war. The ties between Jews in the Dutch island colonies and Venezuela increased more dramatically between 1819-1821 after its new constitution called for religious freedom. In 1820, the first Jewish family settled in the town of Core, which has a Jewish cemetery with tombstones dating back to 1832. Other Jewish communities began springing up in Caracas and Puerto Cabello in the 1840s. In 1844, groups of Jews from Morocco came to the town of Barcelona and, in 1875, they were granted permission to establish a Jewish cemetery. In 1827, a group of Jews emigrated from the tiny island of Curacao to the nearby mainland port city of Coro, Venezuela. Twenty-eight years later, violent rioting drove the entire Jewish population – 168 individuals – back to Curacao. Toward the end of the 19th century, the Venezuelan Jewish community was in dire need of a permanent place of prayer. Assimilation proved to be a large problem for the fledgling community. The Portuguese Jewish immigrants who came to Venezuela by way of Curaçao had a loose-knit communal life, and religious tolerance and acceptance of Jews was not continuous throughout the country. These three factors contributed to the growing assimilation of the community and, by the end of the 19th century, the Dutch portion of Venezuelan Jewry had all but disappeared. Small Jewish communities could be found in towns such as Port Hair, Villa de Cura, Carupano, Chico River, Maracaibo, and Barquisimeto. It was not until the arrival of North African and eastern European Jews in the 1920s and 1930s, however, that the Jewish community began to fully develop. According to a national census taken at the end of the 19th century, 247 Jews lived in Venezuela as citizens in 1891. In 1907, the Israelite Beneficial Society, which became the Israelite Society of Venezuela in 1919, was created as an organization to bring all the Jews who were scattered through various cities and towns throughout the country together. Jewish prayer and holiday services took place in small houses in Caracas and towns like Teques and Guaira. By 1917, the number of Jewish citizens rose to 475, and to 882 in 1926. Jewish immigration from Eastern and Central Europe increased after 1934, but, by then, Venezuela had imposed specific restrictions on Jewish immigration, which remained in effect until after the 1950s. By 1943, nearly 600 German Jews had entered the country, with several hundred more becoming citizens after World War II. By 1950, the community had grown to around 6,000 people, even in the face of immigration restrictions. With the fall of dictator Perez Jimenez in 1958, more than 1,000 Jews immigrated to Venezuela from Egypt, Lebanon, Syria, Salonica, Turkey, and even from Israel. An unknown number of Jews also immigrated from other Latin American countries, which raised the size of the community to more than 15,000 Jews by the 1970s. In the mid-1990s there were approximately 25,000 Jewish residents of Venezuela but today the number is closer to 5,000. Venezuelan Jewry is split equally between Sephardim and Ashkenazim. All but one of the country’s 15 synagogues are Orthodox. The majority of Venezuela’s Jews are members of the middle and upper classes. The oldest surviving Jewish organization in Venezuela is the Asociacion Israelita de Venezuela, which was founded in the 1920s by Sephardic Jews of mostly North African origin. Located in Caracas, this organization services around 800 families and maintains a synagogue with two rabbis. Caracas also has a significant Ashkenazi population. Organizations include the Union Israelita, Shomrei Shabbat, and the ultra-Orthodox Rabinato de Venezuela. Also located in the capital is a Hasidic congregation called Jabad Lubavitch de Venezuela. The community also has several active Zionist organizations, the majority of them based in Caracas. The Federacion de Asociaciones Israelitas de Venezuela, which is associated with the World Jewish Congress, is the umbrella organization for the Sephardic and Ashkenazic communities, as well as the various Zionist groups. In addition to Zionist organizations such as the Jewish National Fund and Keren Hayesod, Venezuela also hosts WIZO, Maccabi events, and Zionst youth groups. In 1947, the Colegio Moral y Luces, Herzl-Bialik integrated school was established. Student enrollment numbers around 2,000, and the school has classes from kindergarten to high school. Both the Ashkenazi and Sephardi communities take active roles in the institution’s affairs, and its reputation for outstanding academic standards has attracted non-Jewish students as well, who comprise around 7-10 percent of the school’s student population. At times, there have been outbursts of anti-Semitism in Venezuela, as well as government policies that specially discriminated against Jews. In the first half of the 20th century, the government placed restrictions on Jewish immigration to the country, which remained in place until the end of the 1950s. Few Jews even today engage in politics and are mostly absent from public administration and service. Recently, Venezuela’s president, Hugo Chavez, made some disparaging remarks that were understood to be anti-Semitic by some in the international community. Venezuelan Jewry, however, apparently not wanting to draw negative publicity to themselves for security reasons, said those remarks were not anti-Semitic and taken out of context. In June 2008, the first vice-president of the Venezuelan Confederation of Israeli Associations (CAIV) David Bittán denounced a government-led campaign of attempting to link the Jewish community with launching a failed coup back in 2002. “There is a campaign coming from the official sector that accuses and blames directly some members of our Jewish community as the leading characters of the April coup,” said Bittán during the opening of the seminar “Jewish in the Spanish-Speaking Americas,” hosted in Madrid by Casa América and Casa Sefarad. “Over the past few years, we have bumped into a stumbling block in the development of the Jewish community due to attacks coming directly from the state media or where the state is somewhat involved. We have been the victim of two police raids in search for arms and subversive materials in our schools,” recalled Bittán and labeled as “difficult” the situation undergone by the Jewish community since President Hugo Chávez took office. 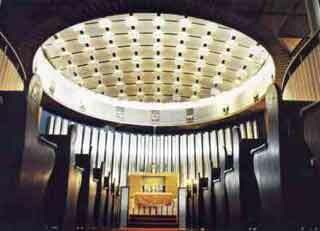 In 2013, the Jewish community of Caracas dedicated the city’s new main Sephardic synagogue called Tiferet Israel Este. 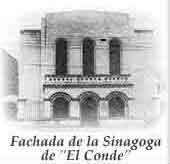 The new synagogue is located in the Las Palos Grandes neighborhood and Isaac Cohen is the chief Sephardic rabbi. Jews were hit especially hard by economic hardships and food shortages following a state-of-emergency declaration by the Venezuelan government in May 2016, caused by economic mismanagement combined with falling oil prices. Ex-Patriot Venezuelan Jews living in Israel and around the world sent food, medicine, clothing, and other items through organizations like Yajad, the main humanitarian group assisting the Venezuelan Jewish Community. The economic crisis caused many Venezuelan Jews to make aliyah to Israel during 2016. About 20,000 Jewish Venezuelans have left the country in the past decade because of the declining economy and the way the Jewish community was treated under Hugo Chavez and his successor Nicolás Marudo. About half of those remaining are wealthy and the other half in financial need. At the beginning of 2019, Jews, like other Venezuelans, were trapped in the crossfire as the sitting president and his rival fight for power. The United States and other Latin American and Western governments do not recognize Marudo as the leader of Venezuela and are supporting opposition leader Juan Guaidó as head of state. Venezuelan Jews continue to maintain strong ties with Israel. Many volunteers from the country went to Israel during the Six-Day War. On November 29, 1947, at the United Nations, Venezuela voted in favor of the establishment of a Jewish state, and the diplomatic ties between the countries have been close since that time. Operation Cast Lead was a turning point for the country’s Jews. They faced discrimination from anti-Israel activists, and synagogues were vandalized. The prejudice peaked when then-President Hugo Chávez – known for his pro-Palestinian stance – demanded that the Israeli ambassador leave over the “Holocaust that Israel was perpetrating in Gaza,” as Chávez put it. Since then, Israel has had no diplomatic presence in Venezuela. Shimon Yaish, “Venezuela's Jews describe chaos, uncertain future,” Israel Hayom, (January 25, 2019).